Expo Link Alarms - The Expo Link Alarms Blog is now Live! 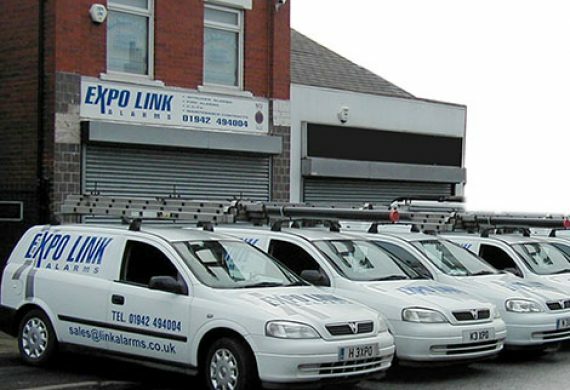 Latest News	The Expo Link Alarms Blog is now Live! At Expo Link Alarms, we believe that new things are always exciting – which is exactly why we have added the new Expo Link blog to our website! You’ll be able to find regular updates regarding some of our projects and products right here. In our blogs you’ll find discussion around our business and residential services, including burglar alarms, CCTV systems and more. We’ll also update from time to time in regards to special offers that we are running. If you’ve recently moved house or you’re just planning on tightening up the security of your property, whether that is a residential property or business, then you’ve definitely come to the right place. All of our products are created by leading companies, meaning you can be confident in the product that we install. Even better is the fact that we pride ourselves on providing an end to end service – meaning as soon as you decide to take the first step on your journey, we’ll come to you for a site viewing. During the site viewing we can make choices based upon what we see regarding the right products for you. From here, we’ll visit you to carry out a full installation on your property – meaning that you’ll have a personalised service from start to finish, rather than a number of strangers appearing on your doorstep from time to time. We are renowned in Wigan and across the United Kingdom for our work, and have worked on residential properties of all sizes. In regards to businesses, we’ve worked alongside Euro Garages and Starbucks just to name two clients. If you’d like more information, you can browse through our range of products or contact our expert team today. We don’t have a sales team, meaning whoever you speak to will more than likely be installing the product too!